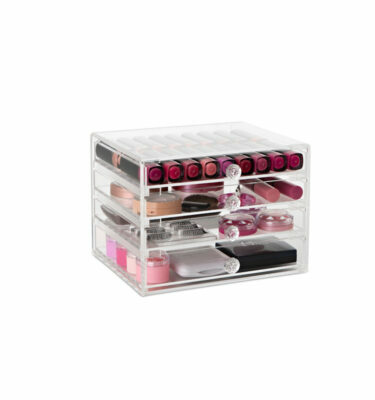 Holds 48 of your favourite lipsticks all in one handy storage unit. Perfect to store your MAC lipsticks and many more brands and sizes! This handy unit spins so you can locate that specific shade quickly and easily, no more digging around in your hand bag or bathroom drawer. 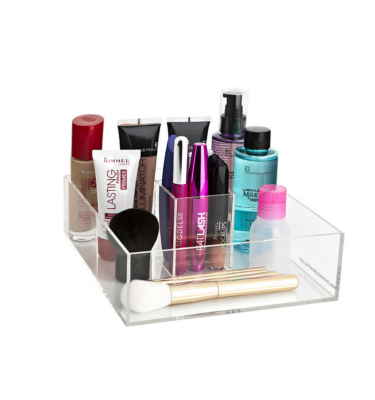 Store your powders or nail polishes in the top section. A must have for your Makeup collection! FREE tracked delivery anywhere in Australia or New Zealand delivery starts at $17. We are now delivering this item worldwide! Please email info@themakeupboxshop.com to order for destinations outside Australia and NZ! FREE tracked delivery anywhere in Australia! I got this item for Christmas and it was just what I needed to store my lipsticks in. Looks great on my makeup table too! The lipstick carousel is amazing!! Before buying this my lipsticks where a disorganised mess but now I know exactly what I own. 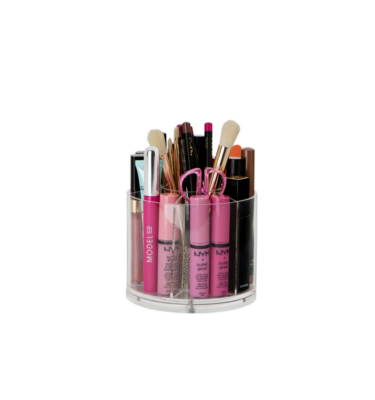 I love the fact that it spins for easy access to all of my lipsticks.bnot only is it super practical, it looks gorgeous displaying my lipsticks – a must buy! I work for MAC so have a big collection of lipsticks. This items is like a dream to store them all in. Item was sent same day as I ordered it. A+ for product and service. So happy with this little spinning storage unit, don’t know how I lived without it! Best purchase! The holder fits heaps of lippies, it looks super organised and pretty! I really loved the quality of the acrylic too it! LOVE!